← Salem Art Festival, fine indeed. 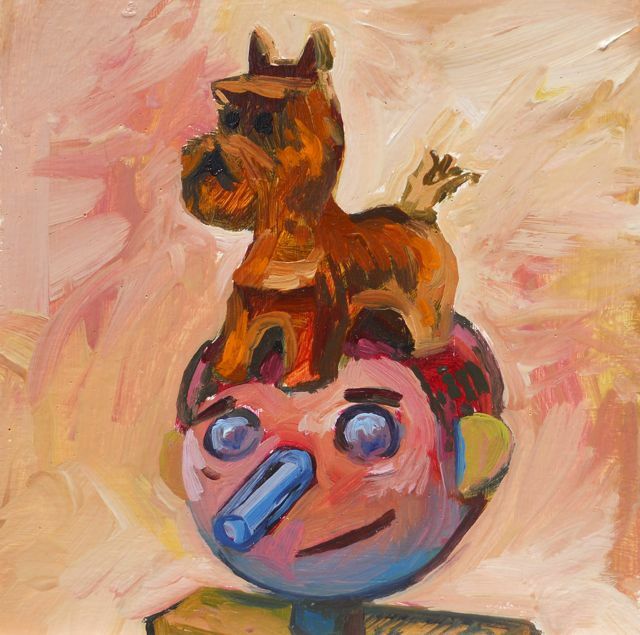 6″x6″ this painting was based on a toy dog I was looking at as well as some sketches I had of wooden figures. So dogs have been a long-standing image I’ve relied on. Historically they are an image of loyalty and fidelity dating way back to medieval times. 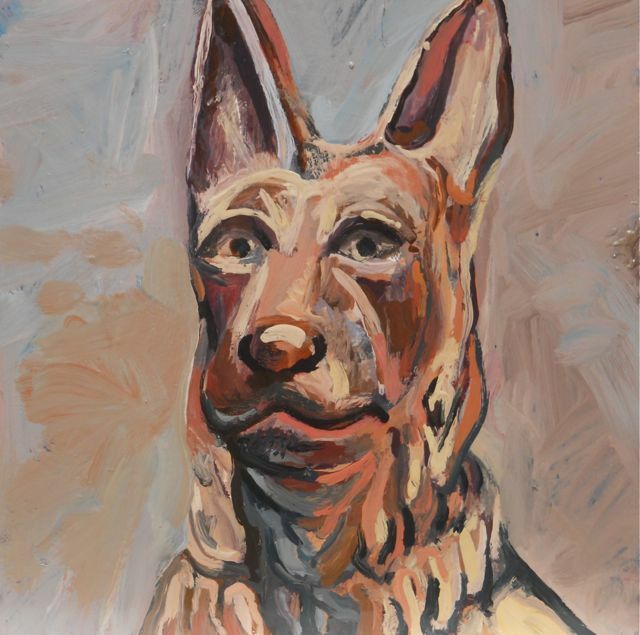 I think we need more images of loyalty and fidelity in our day and age, so here’s to more images of dogs art! Several of the 6″x6″ paintings I cranked out lately were canine-themed. So, here they be. 6″x6″ I liked having the under-painting show through in this one. “Heidi” is what I titled this, named after a German Shepherd we had when I was very little. This 6″x6″ painting was based on a plaster statue I have like the one above. She’s named “Ginger” after a neighbor’s German Shepherd that was the sister of our dog. Lots of German Shepherds huh? 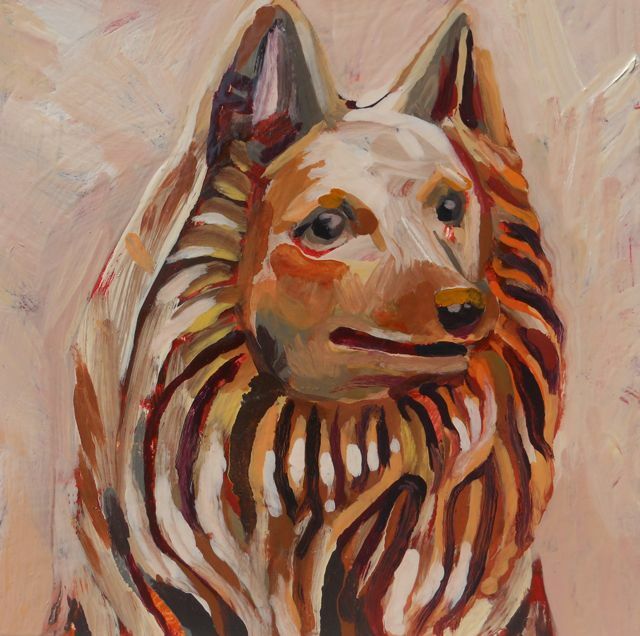 This entry was posted in Art in the Works and tagged Collie painting, dog oil painting, dog painting, dog symbol, dog symbolism. Bookmark the permalink.